Fill in the form below and submit your order now! “From 1 July 2016, government regulations will make landlords responsible for ensuring an operational smoke alarm is in place, and tenants responsible for replacing batteries or notifying landlords of defects. Long life (10-year) photoelectric alarms will be required where there is no existing alarm or when replacing an existing alarm”. Alarm Serv﻿ice﻿s Ltd is well suited to install these products for you and your landlords. 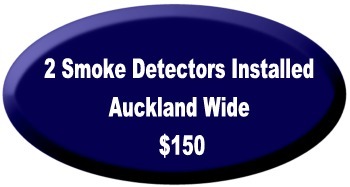 We are currently installing high quality 10 year smoke alarms for a number of Rental Agencies in the Auckland area. •Photoelectric sensor – detects slow smoldering fires. •10 year battery, with low battery warning. •‘Hush’ button feature to cancel false alarms (as required in housing WOF legislation). •‘Test’ button to ensure function. •Neutral colour, matches the majority of ceilings. •Complies with NZ Building Code April 2003. Alternatively if you are ordering for a large number of premises please contact us via email smoke@alarmservices.co.nz including the information from the form below. 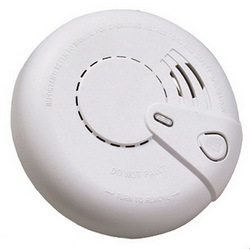 2x Smoke Detectors (same premises) Installed Auckland-wide $150 Incl. Additional Detectors $55 (if installed during same visit). - Alarm Services will contact you to confirm the Installation Date. - Payment within 7 days of Invoice Receipt.